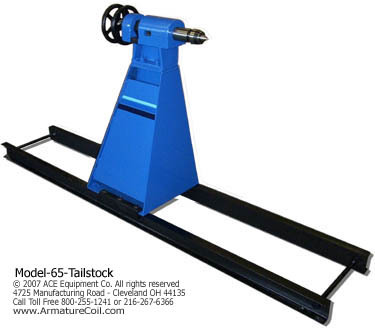 ACE Tailstock is designed for use with any ACE Coil Winder. Heavy duty construction. 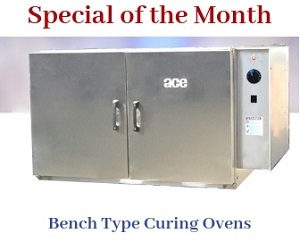 At Armature Coil Equipment (ACE), we strive to provide diverse solutions in terms of industrial products. We also provide a variety of supplementary components and machines to enhance the performance of our products. For our coil winding product range, we offer the following solution driven products – Models 65 and 66 Coil Winding Tailstocks. 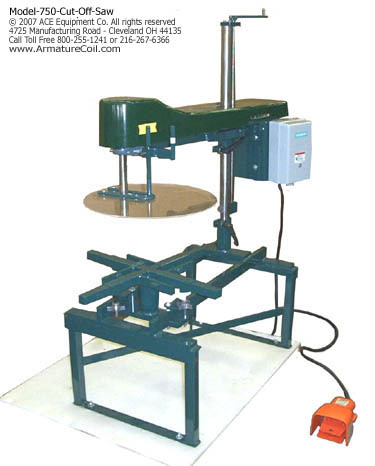 Lets you quickly cut ends off of coils for easy removal of copper wire. At Armature Coil Equipment (ACE), we work with a lot of customers, who specialize in repairing industrial motors and generators. Many of these customers have requirements to refurbish custom stators for their motors and generators. Hence, we receive enquiries for equipment that can help them accomplish this task.